One of my favourite things about autumn is soup. There's little better in life than cosying up in the afternoon with a big hearty bowl of wholesome soup while the cold wind blows outside. Autumn is the season of plentiful vegetables, particularly of the root variety, which means making soup is cheap and easy. Plus, my children absolutely love dipping their freshly baked bread rolls into their bowls of soup, so it makes the usually challenging task of getting vegetables inside them as easy as child's play. 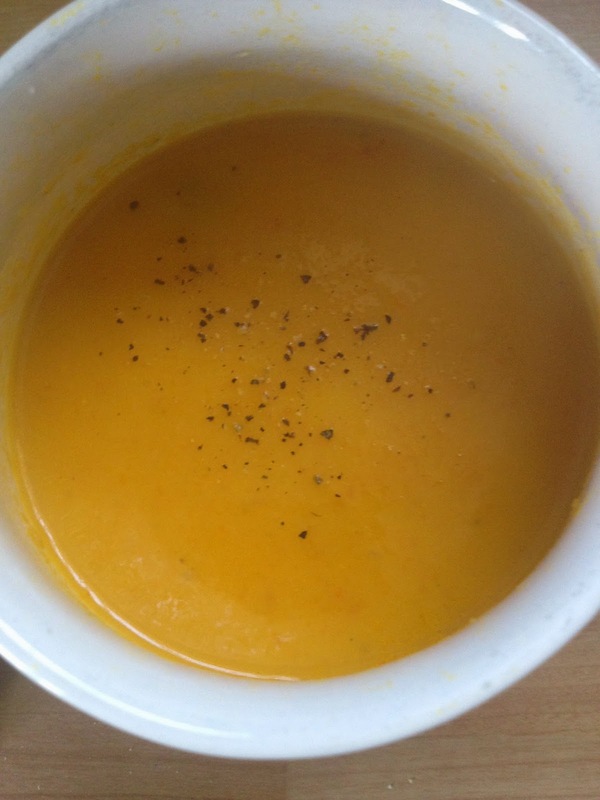 This week I made a simple carrot and coriander soup. 1. Gently soften the carrots, potato, onion and coriander seeds in the melted butter. 2. Add the chicken stock and simmer until all the vegetables are completely soft. 3. I added a teaspoon of coconut oil to give the soup a smoother finish and also because I recently bought a jar after reading about the health benefits and now keep trying to add a little to lots of foods. 4. Blend the soup until it is smooth (one of my children doesn't like lumpy soup at the moment). 5. Stir in the cream and add the chopped coriander leaves and season with ground pepper according to taste. Serve with hot crusty rolls. I can't wait to try some more soup recipes - if you have a favourite, please do share it with me.